Long the enfant terrible of the folk revival, Dominic Behan – poet, patriot, playwright and rebel – spills over with outrageous talent. This archive recording from 1960 shows him as a powerful and honest singer, a worthy heir of the great Dublin heritage of song and ballad. 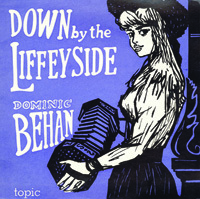 Behan is accompanied by Peggy Seeger, Leon Rosselson and Ralph Rinzler.